Considered by the jazz media at the forefront of his musical generation, Cuban born Master Percussionist and Composer Arturo Stable has share the stage/Studio with artists such as Paquito D Rivera, Esperanza Spalding, The Caribbean Jazz Project, Miguel Zenon, Terri Lyne Carrington, Christian McBride and The Philadelphia Symphony. Mr. Stable also has an extensive experience as a clinician and educator. 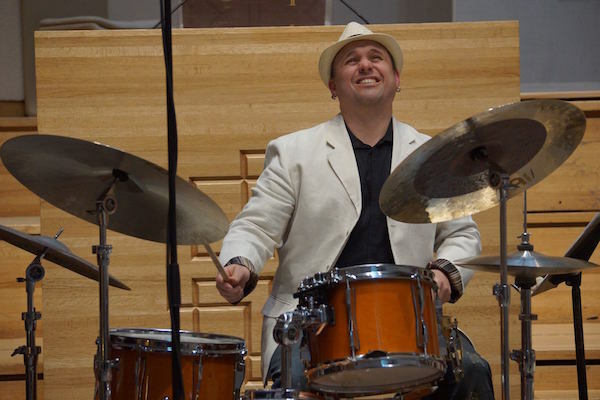 He is the Chair of the Hand Drum Department at the University of the Arts in Philadelphia and has developed a strong international presence as a bandleader with five releases under his name and countless international appearances in festivals around the world such as Madrid Jazz Festival, Vittoria Jazz festival, JVC Jazz Festival, Moscow Jazz Fest, Budapest Jazz festival, among others. No Replies to "Arturo Stable Quintet"